Going out from time to time is crucial when it comes to your relationship. You have to spend time with each other if you want to continue to grow together. Date night is something that you and your significant other should look forward to. I enjoy taking my lady from time to time. We try to do things several times each month. 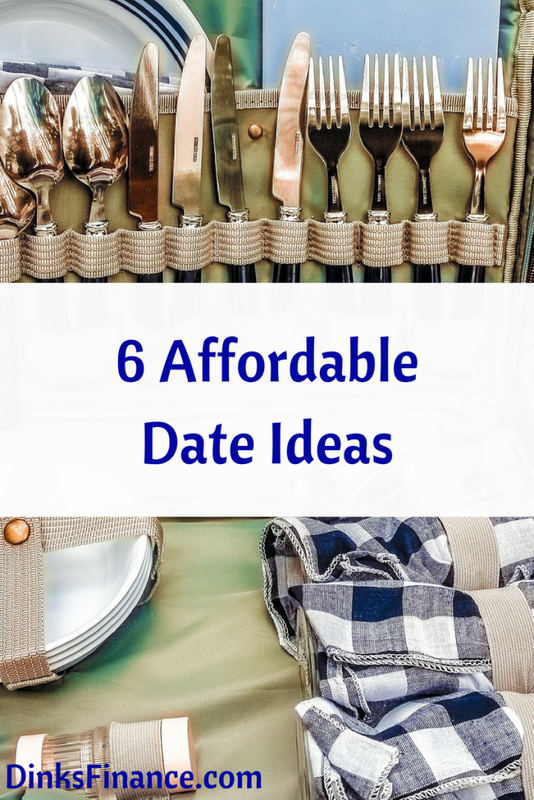 Today, I will be going over six affordable date ideas. The first date idea is to go to the movies. There are a lot of good ones coming out in the next couple of months. Depending on which theater you go to, you should be able to see a movie and get some popcorn for under $25. Some theaters may have discounts as well. If either one of you is a college student, you may be able to get a percentage of your movie ticket off. You can also save money by going to a matinee. Paint and sip classes are very popular at the moment. A paint and sip is a class that someone has where they go over painting techniques. They provide the canvas and paint and in a lot of cases they provide the wine of liquor. I haven’t been to any of those classes yet, but I’ve heard they can be very fun. I’ve had several friends that have attended. They said that the class was different but fun. The third date idea on the list is to attend a baseball game. If you and your significant other are baseball fans, then this idea is for you. There are several types of baseball games that you can attend. If you live nearby a college, you can check out a baseball game on campus. Most college games are very affordable. The second type of baseball game that you can see is a minor league game. Minor league games have a retro feel to them. I’ve been to a couple of minor league games before in the past. There isn’t a bad seat in the house. The last type of baseball game is to attend a Major League game. Over the year, I’ve had a few dates there. Even if your date doesn’t like baseball, I’m sure they will enjoy the experience. Don’t laugh, but going to a bookstore can be a unique date idea. You can browse through the different sections together. You can also discuss your favorite types of books with each other. Y’all can also come up with a reading list for each other. Going to the park is next on the list. You can exercise at the park, have a picnic or just relax out there. Depending on where you live, you may have several parks to choose from. If that’s the case, you can visit a new park each month. The last date idea is to go to a coffee shop. Coffee shops can be excellent date ideas because they can be intimate depending on when you go. You can have a nice cup of coffee while you engage in conversations. Many coffee shops also have desserts that you can choose from as well. What is your favorite date idea?